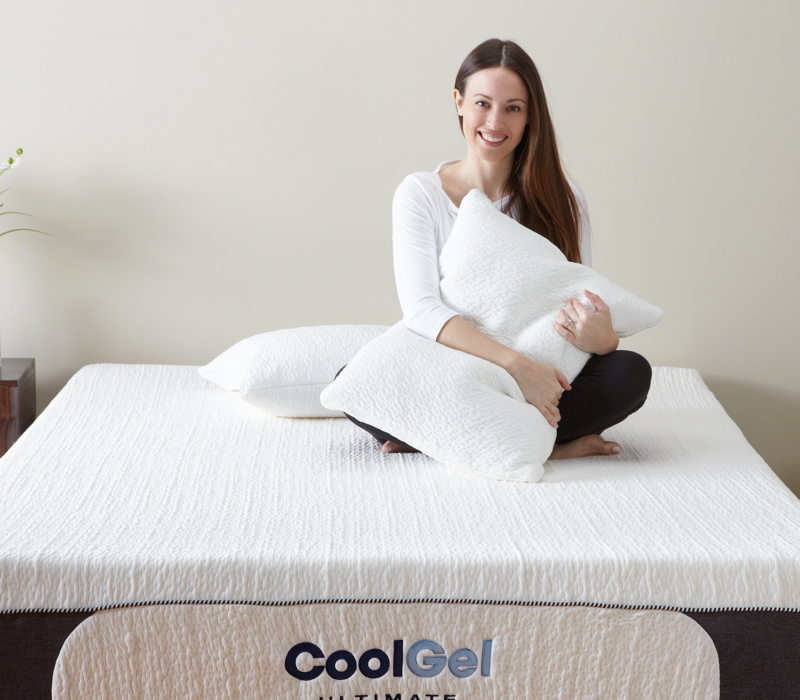 Jumping on the “cool sleep” trend, Classic Brands has unveiled a new mattress collection designed for all-night temperature regulation. The Maryland-based brand launched its line of PostureTemp mattresses earlier this month. While there’s a range of different profile heights (from 12″ to a whopping 14.5″), each model is outfitted with thick layers of ventilated memory foam infused with gel, which helps to counteract the overheating properties of the pressure-relieving material. The PostureTemp line currently consists of four models: the 12″ Frio, the 13.5″ Celsius and Fahrenheit and the 14.5″ Magnificent. To give you a better sense of what sets each of these models apart, I’m going to point out some of their unique specs below. The Breakdown – The shortest bed in the collection, the Frio is being billed as “adjustable friendly,” which I’m assuming means it’s compatible with adjustable bases. It’s built with gel-infused memory foam and the brand’s cool knit cover for excellent temperature regulation and pressure relief. The Breakdown – The Celsius and Fahrenheit mattresses are the line’s mid-tier options, offering sleepers a satisfying medium firm feel. While these beds are also constructed with gel-infused memory foam, they feature a firmer base that helps to imbue the structure with a bit more support. 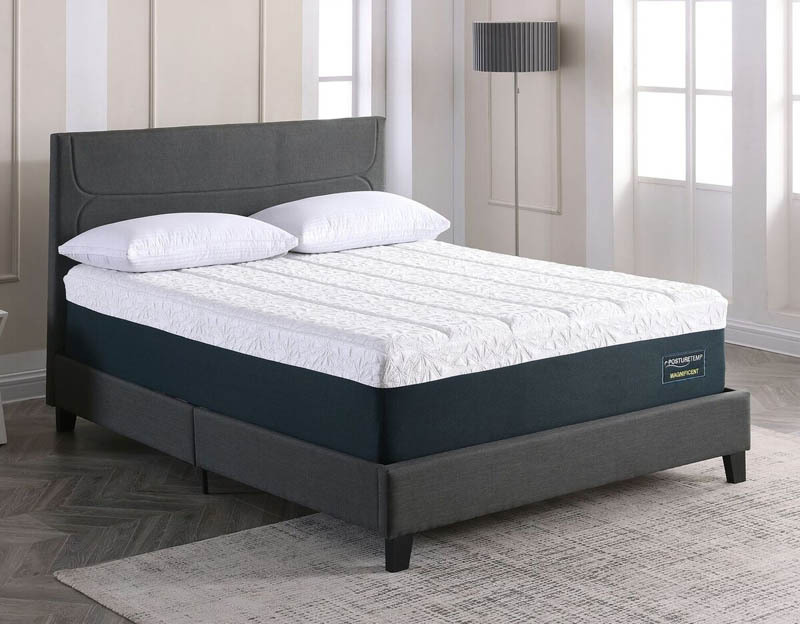 The Breakdown – The Magnificent is the plushest model in the collection as its designed with not only 14.5″ of dense memory foam, but also a quilted cover. If you’re in the market for a luxurious feel, I’d suggest going with this one. Classic Brands is far from the only mattress company putting a renewed focus on cooling in its bed design. Earlier this month, we wrote about the launch of Molecule, a fresh brand on the bed-in-a-box scene all about temperature regulation. We also interviewed Tomorrow Sleep founder Brian Murphy about his company’s commitment to keeping things cool in the bedroom. Want to learn more? Check out our guides to some of the best cooling sheets and mattresses on the market!